We are Triad Autoplex; We offer the best deals in town! At Triad Autoplex we only sell quality lightly used vehicles. We have the best selection of used cars in the triad as we hand select our vehicles from out of state auctions. We have extended warranty available for all of our vehicles. We offer bank financing through some very aggressive lenders that we are affiliated with, as well as the buy here pay here program. Our staff will provide you with the best in customer service anywhere. We don't just sell the finest used vehicles; we offer the best car buying experience in the triad. Stop by today and see what sets us apart from other used car dealers. We look forward to working with you and assisting you. 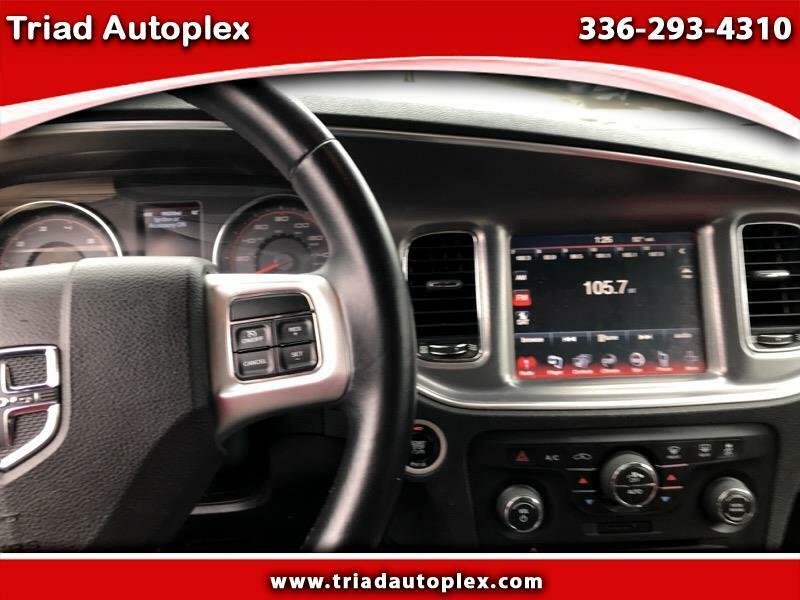 For further information on any of our vehicles please come visit us, check out our original website www.triadautoplex.com, or give us a call 336-293-4310 as we look forward to assisting you. We are located on 1790 Silas Creek Pkwy, Winston Salem NC, 27103. In addition, we are a family owned and operated business; therefore, we have a total of 3 locations, which means our customers have access to the ENTIRE inventory selection of our dealerships. Here are the other websites: Auto Solutions of Greensboro at www.thecarsolution.com and last Visit Triad Autoplex online at www.usedcarswinstonsalemnc.com to see more pictures of this vehicle or call us at 336-293-4310 today to schedule your test drive. Message: Thought you might be interested in this 2014 Dodge Charger.